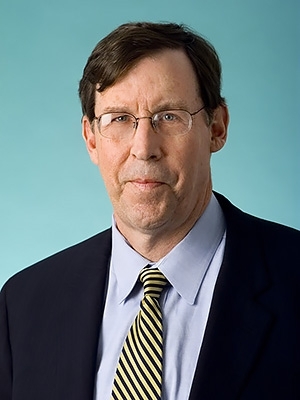 Biography | John P. Doyle, Jr.
John is chair of the firm's Health Law Group and has played a significant role in the creation and organization of the practice of health law in the state of Maine for the past three decades. John provides a spectrum of legal services to diverse health-related clients in Maine and throughout the country. The providers he has counseled include regional and statewide hospitals and health systems, national, regional and statewide nursing facilities and long-term care organizations, physicians and physician groups, in addition to other providers and practitioners and their trade associations. John also has handled many matters for regional and national health insurers, managed care providers, other payors and self-insured entities. He has argued health related matters before the Maine Supreme Court and the First Circuit Court of Appeals, including certificate of need, physician credentialing, Medicaid reimbursement, medical liability and board governance matters. Prior to returning to Maine in 1979, he spent five years working in Washington, D.C., obtaining invaluable experience for his health law practice. During law school, he worked in the Office of the Legislative Counsel for the U.S. House of Representatives. Following graduation from Georgetown Law, he was as a legislative assistant to U.S. Senator William D. Hathaway. He worked on health-related issues before the Senate Finance Committee and Health Subcommittee of the Senate Labor and Human Resources Committee. In 1977, he was appointed Chief Counsel and Staff Director to the United States Senate Subcommittee on Alcoholism and Drug Abuse. In that position, he oversaw federal programs with annual budgets of approximately $1 billion and coordinated the first Congressional hearing on fetal alcohol syndrome. "Fraud and Abuse Update: Tricks and Treats and Medicare Part B – Appeal Procedures & Case Studies, Maine Medical Association, November 1, 2013. "Advising Health Care Clients: Issues in Payment Reform," Maine Medical Association and Maine State Bar Association Health Law Section, August 7, 2013. Hosted and coordinated day-long Seminar on multiple regulatory and compliance issues, Maine Health Care Association, March 13, 2013. HIPAA Update with Pertinent Case Studies, (co-presented with Katrina Clearwater, Esq. ), Maine Osteopathic Association 101st Annual Oceanside Convention, June 8-10, 2012. "Maine's Certificate of Need Program: Navigating an Increasingly Complex Process," (co-presented with Stephanie Rice, CPA of Berry Dunn), Maine Health Care Association, October 15, 2010. "Regulatory Approval Processes for Major Expenses, Bed Transfers, and Changes in Ownership by Long Term Care Providers: An Update," ( co-presented with Stephanie Rice, CPA of Berry Dunn), Maine Health Care Association, October 3, 2012. "Affordable Care Act – Implementation in Maine – Elections Have Consequences," Northern New England Chapter of CUPA-HR (College and University Professional Association for Human Resources) Spring Meeting, Concord, NH, April 7, 2011. New England Council – Hosted multiple Congressional Roundtable presentations in Portland by Senators Susan Collins and Angus King and Representatives Chellie Pingree and Michael Michaud.